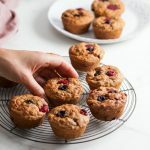 A simple, tasty and plant-powered way to start the day, these awesome one-bowl breakfast muffins are the real deal. They’re fluffy and fruity, and they’ll take almost no time at all to prepare. Simply bake a batch on Sunday, and they’ll keep for most of the week. We usually gobble down at least two each in the morning! 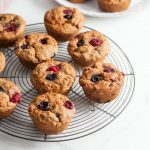 These wonderful breakfast muffins use WK Kellogg No Added Sugar Coconut & Cashew Granola, which is high in fibre and wholegrain, and contains no added sugars or artificial sweeteners. We also use Alpro Plain Unsweetened alternative to yoghurt. Peel the bananas and add them to a mixing bowl then mash them with a fork until smooth and runny. Add the vanilla extract, Alpro Plain Unsweetened, soya milk, maple syrup and melted coconut oil, and stir well to combine. Place a sieve over the bowl and add the flour, baking powder, bicarbonate of soda, cinnamon powder and a pinch of salt and sieve all the ingredients into the bowl. Next, add the lemon zest, WK Kellogg No Added Sugar Coconut & Cashew Granola, desiccated coconut and raspberries. Gently mash the blueberries with the back of a fork, then transfer them to the mixture. Use a wooden spoon to gently fold all the ingredients into the batter until everything is well combined, then set the bowl to one side. 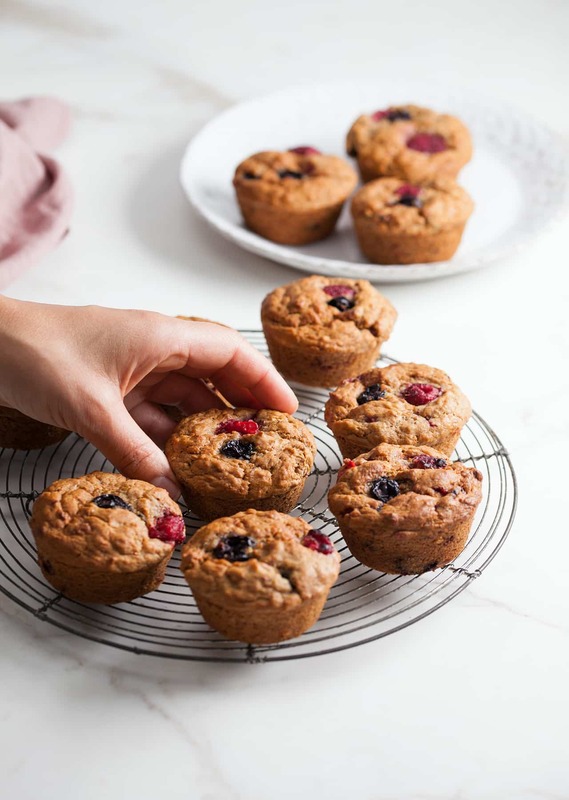 Grease a 12-hole muffin tray with coconut oil, then spoon the mixture evenly into the 12 holes. 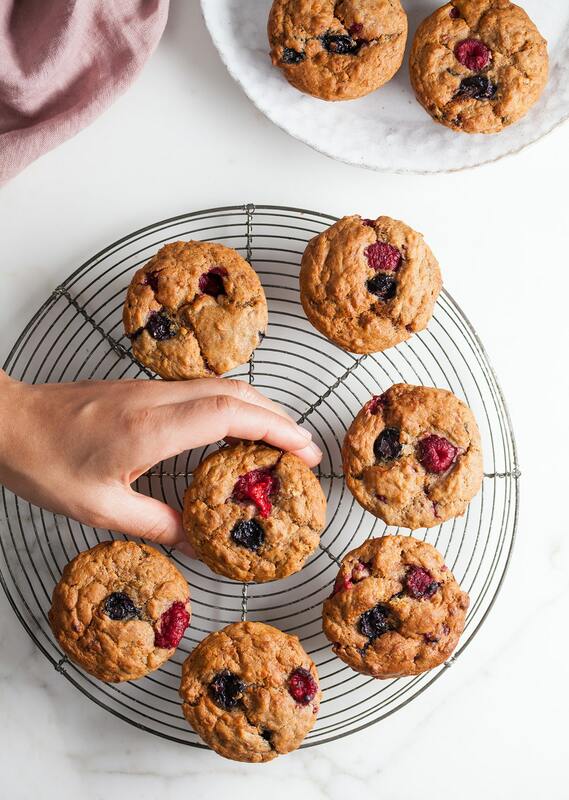 Smooth out the tops with the back of a spoon, then push an extra raspberry and a mashed blueberry into each muffin. Bake in the oven for 20-25 minutes or until golden brown. Serve warm, or store for up 4-5 days at room temperature, ideally in an air-tight container.